This is a brief history of our ‘Old School’ – namely the buildings dating from the 1800s located on the corner of School Road & Caledonia Street, St Andrews. 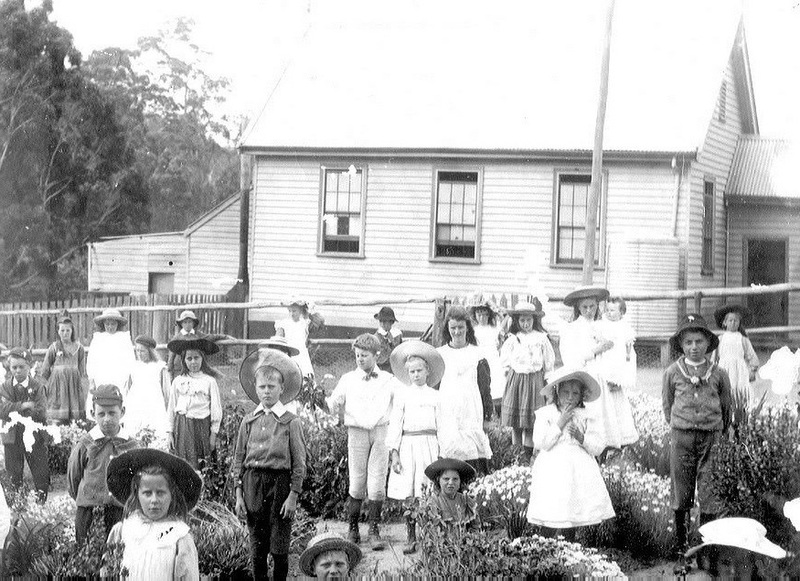 ﻿In 1874 land was gazetted on the opposite side to the present site of the old school on the corner of School Rd and Caledonia St/ Heidelberg-Kinglake Road. ﻿In 1882, due to declining numbers of scholars at Smiths Gully and increasing numbers in Queenstown (now St Andrews) the school and the residence were relocated to Queenstown in September 1882. The teacher’s residence was finally completed in November 1882. ﻿Repairs and renovation continued with a major upgrade in 1925, with the familiar wooden double desks being installed to replace the backless benches bolted to the floor. In 1952 both the name of the town and the school were changed from Queenstown to St Andrews. In part this was due to the mix up of the mail going to Queenstown in Tasmania, however as early as 1940 Head Teacher Hodge requested this alteration. In 1955 a new classroom and corridor was built and occupied in November – ‘Standard light timber construction’, the new room measured 24’ x 24’ with a 36’ x 6’ corridor, it was not painted at this stage. In 1958 the school held Centenary celebrations with a barbeque, parade and a dance. In 1962 bushfires affected St Andrews and part of the fence was burnt, along with plantation trees belonging to the school (this plantation was cleared in 1964). In the same year electricity and phone reached the school for the first time! ﻿Discussion on re-siting of the school began in 1976, but there was a lack of agreement between parents and the School Council as to where the building should be situated. 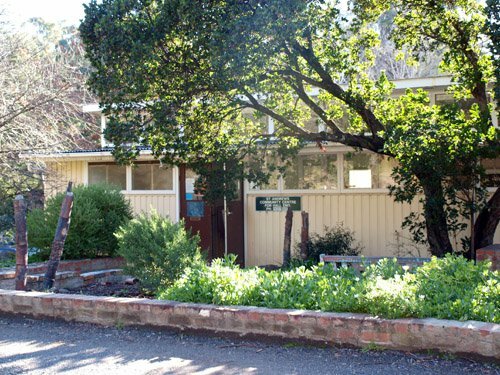 By 1982 140 students in six classes were enrolled at St Andrews – they were housed in two permanent rooms and three portable classrooms! By 1984 the school was able to move into its new building and the Old School was handed over to the community. In 1983 a new school was built, 500 metres south of the old school and the old school became the St Andrews Community Centre. St Andrews Community Centre (SACC) continued to serve its community after closing as the primary school in 1983. A number of community-run groups operated from the building, including playgroups and the centre was available for hire. The Residence was privately rented. After the devastating bushfires of 2009, SACC was established as a relief centre, accommodating agencies, donating material aid, providing information and support and a place for people to come together. ﻿Local interest grew in serving on the community volunteer committee and groups began to see SACC as a logical home for community activities. The committee actively collaborated with Council and other agencies to provide for the community and improved its governance and operational roles. Our volunteer committee of 13 is broadly representative of the wider St Andrews community and together we bring a wide range of skills and experience to the committee. Long-deferred plans for the redevelopment of SACC came to life again when funds dedicated for community renewal projects were donated from the Victorian Bushfire Appeal Funds. Following community consultation concept plans were developed and refined and led to the appointment of Gregory Burgess as architect. While the process of redevelopment has been a long and frustrating one, we are confident that our beautiful new Centre will come to life in the next few years, with exhibitions, classes, workshops, music and a memorial niche. We hope it will be a warm, welcoming space for all the community. We invite you to join us by becoming a member of the association!